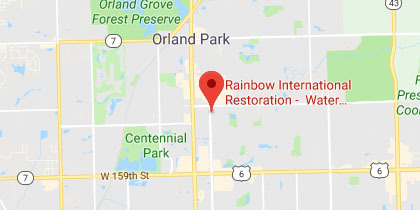 Residents of Elmhurst, IL, and surrounding areas can count on Rainbow International Restoration of South & West Suburbs for leading disaster restoration and cleaning services. Whether the damage is caused by water, fire, smoke, mold, or something else, our talented technicians will respond rapidly to fully restore your property. Responding to water damage in a swift and effective manner is instrumental in making a full recovery. At Rainbow International Restoration of South & West Suburbs, this is exactly what we offer through our water damage restoration services. Our specialists are available 24/7 and utilize advanced water extraction equipment and structural drying methodologies to restore your property. Whether you are a victim of a flood, leak, burst pipe, overflow, or something else, we will get you back on your feet. We offer these services to property owners in Elmhurst, IL. 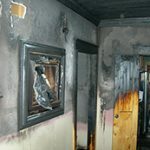 Property owners in Elmhurst, IL, can count on our comprehensive fire damage restoration services in their time of need. Our Rainbow International Restoration of South & West Suburbs technicians are IICRC certified, and available 24 hours a day. We will stabilize your building, address damage caused by fire, smoke, and soot, and restore affected areas and belongings. No matter the scale of the damage, we will do everything possible to return your property to its original condition. 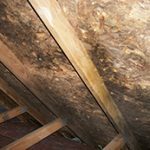 At Rainbow International Restoration of South & West Suburbs, we offer mold remediation services to residential and commercial property owners in Elmhurst, IL. Our specialists utilize state-of-the-art equipment to locate all cases of mold growth and eliminate it. It is important to take decisive action as soon as you notice mold on your property because of the damage it can cause to your building, belongings, and health. We address these risks and more through our swift and effective services. Since our founding in 2007 by John Gurtler, we have quickly grown to become a leading restoration service provider in the area. This rapid growth can largely be credited to John’s experience in the construction industry and understanding of large-scale recovery efforts. We are proud to say that residential and commercial property owners alike have benefited from this expertise. Overall, we are committed to providing the best solutions possible following a disaster and matching them with outstanding customer service. When you choose to work with us, you will receive state-of-the-art restoration services within hours of placing your call. Our technicians understand the importance of a swift response in the aftermath of an emergency, and have the skill sets necessary to recover damaged belongings and surfaces. This is true whether the problem is water, fire, smoke, mold, or something else. At the end of the day, our expertise, equipment, and customer service are what we pride ourselves on. We work diligently to get you back on your feet as quickly and effectively as possible. Don’t just take our word for it. The proof is in the level of training we require out of our technicians. All of them are IICRC certified, and regularly trained to use up-to-date equipment and processes. Each member of our staff must also pass an extensive background check so that we know only trustworthy individuals are being sent out to your property. Overall, our organization is comprised of extraordinarily talented and committed individuals. If you experience a large-loss scenario, we can help. We have professional relationships with local insurance agents, adjusters, realtors, home inspectors, property managers, roofers, and other contractors. These connections allow us to help you comprehensively, regardless of the scale of the damage. We will also work with your insurance company and provide direct billing to them to help pay your claim. Rainbow International Restoration of West & South Suburbs is a part of Rainbow International’s nationwide disaster restoration franchise. This means that we have helped neighboring franchises in extreme disaster-recovery scenarios, and residents of Elmhurst, IL, can now benefit from these connections. Ask about our price match guarantee. We will match proposals from other professionals that perform services in line with the IICRC’s standard of care.